Welcome to the page for XSP Race Nights. 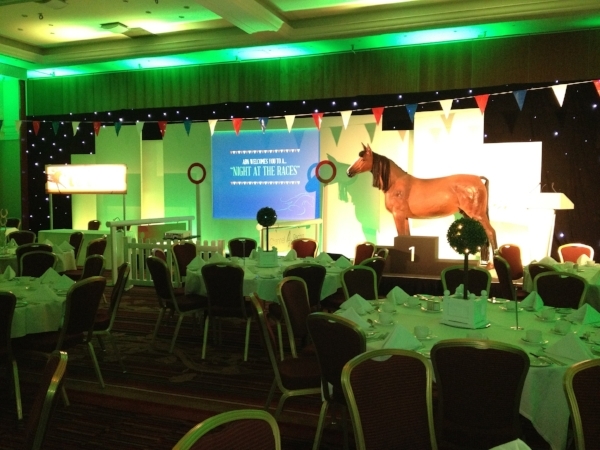 We provide professional race night comperes. a massive 10 foot race screen, top quality PA and all the supplies you'll need for an amazing nights entertainment. Race Nights are one of the best, inexpensive and most enjoyable ways to raise money for your club or organisation. Alternatively you could simply hold a fun race night to entertain your corporate guests, friends or family. No need to be an expert punter, these nights are easy to understand and aimed at everyone. Here at XSP we are with you every step of the way, from the moment you book through to the night itself. We help you by providing templates for your race cards, giving you the opportunity to start your fund raising straight away. On the night itself we run up to eight standard races plus a final ninth owners race. A well organised race night can raise several thousand pounds so why not give it a try. To book or enquire about XSP Race Nights please complete the form below.